On having a purpose, fiction v. nonfiction and emotion. 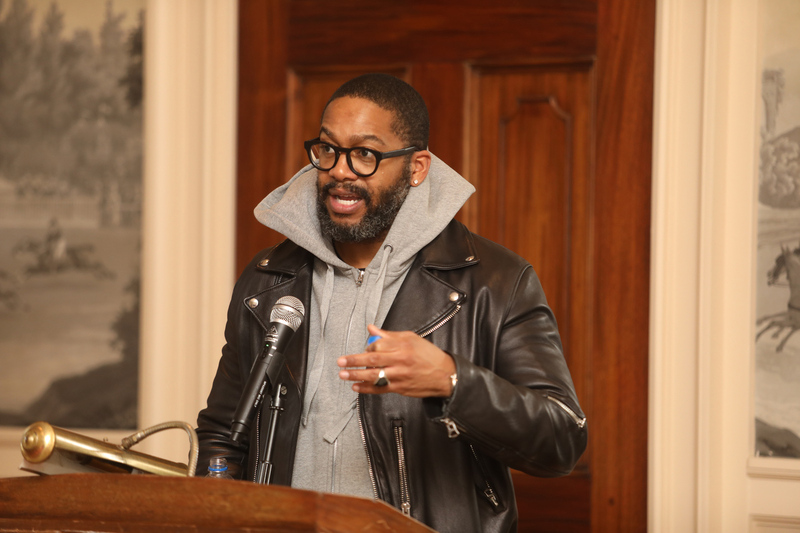 February 2019 – Award-winning author Mitchell Jackson talked shop and read from his forthcoming memoir, Survival Math: Notes on an All-American Family, during an appearance at Drew University. 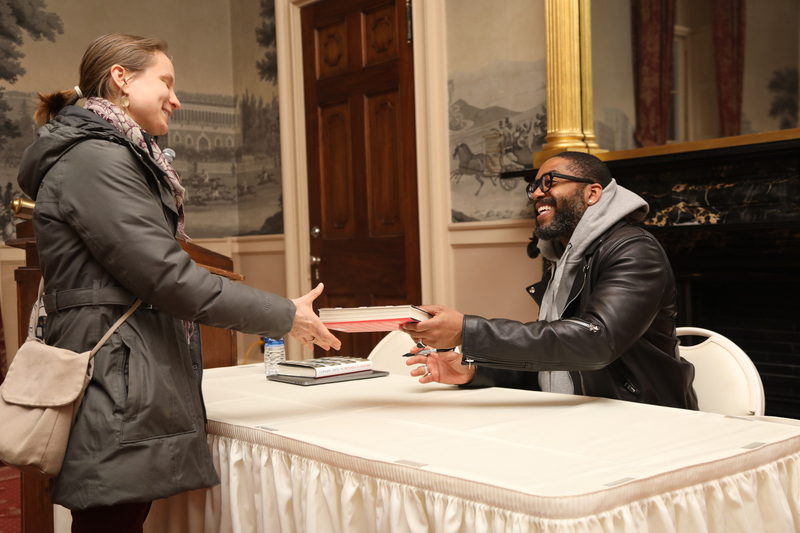 Jackson, a guest of the University’s Writers@Drew series, earned a Whiting Award and The Ernest J. Gaines Prize for Literary Excellence for his debut novel, The Residue Years. After reading at the event, which co-sponsored by The Casement Fund and the English Department, he answered questions from students. Here are five interesting answers. 1. Do you always have a plan when you sit down to write? 2. Do you veer between fiction and nonfiction? The writer signs advanced copies of his new book. 3. How different were the emotional processes when writing your two books? 4. What’s the relationship between literature and activism? 5. How do you avoid being overly vulnerable in your writing?